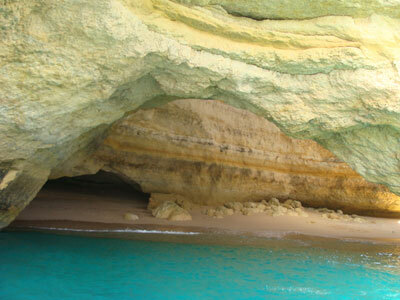 Discover the most beautiful spots of the Algarvian coast! 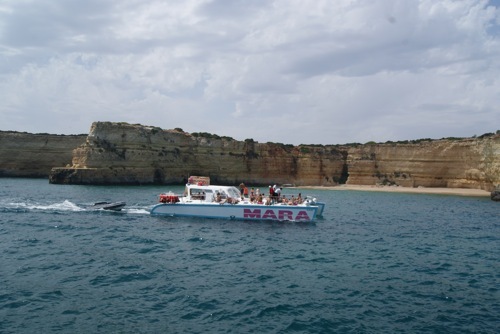 Catamaran Mara is very safe and stable offering you the best way to explore the enchanting rock formations caves and beaches of the Algarve. 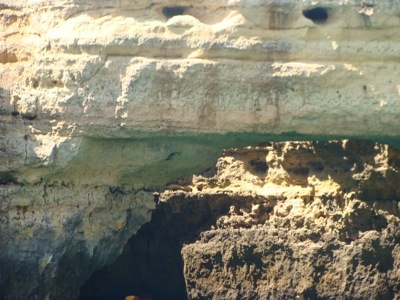 Discover the most beautiful spots of the Algarvian coast! 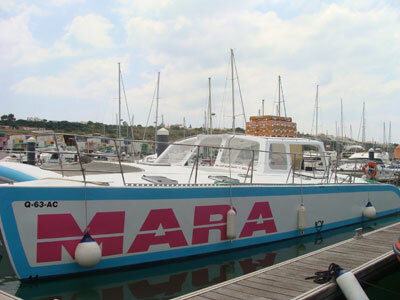 Catamaran Mara is very safe and stable offering you the best way to explore the enchanting rock formations caves and beaches of the Algarve. 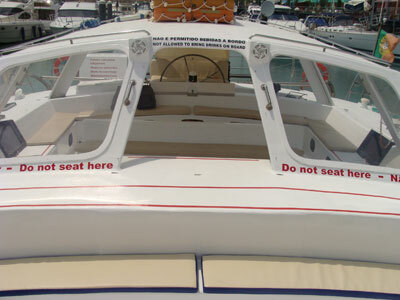 Our sundeck is very spacious and the opportunity to lay in the sun or the shade is available to all passengers. 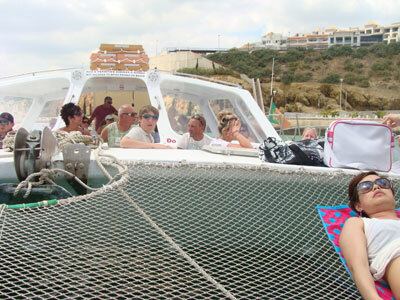 We are certain everyone will enjoy the scenery whilst relaxing. 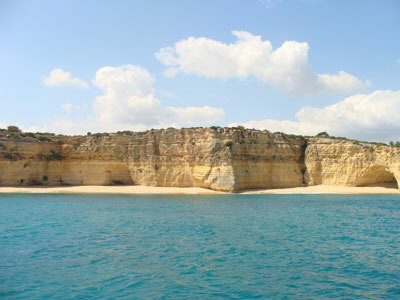 A full day's cruise, departing from Albufeira Marina at 10.30 a.m. Cruising along the coast up to the Carvoeiro area, where a BBQ beach lunch will be served on the beach. 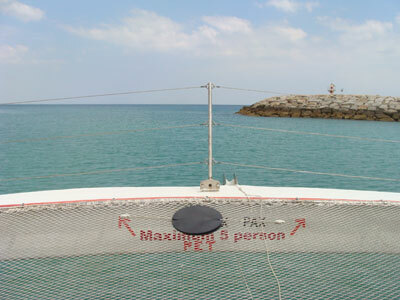 Also time for swimming & snorkelling. 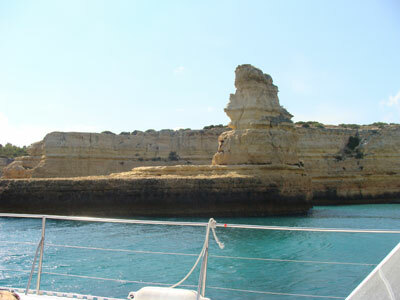 Return 4:30 p.m.
Half a day's cruise, leaving Albufeira Marina at 10.30 a.m. and 3 p.m. Cruising along the coast up to the Benagil area, with its typical rock formations. Allowing time for a swim. Duration: 2.5 hours. 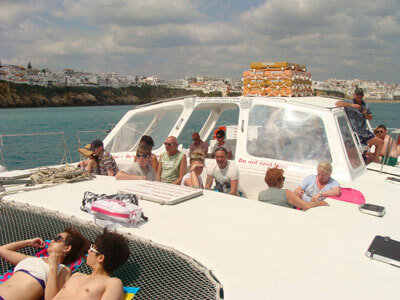 An evening cruise, departing from Albufeira Marina at 5.15 p.m. 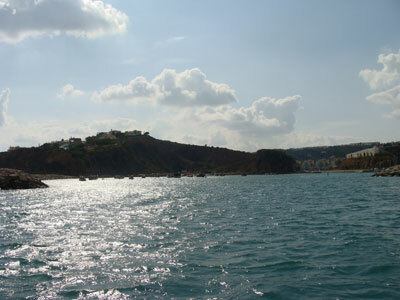 Following the coast until Benagil, while enjoying the rock formations in the changing light at the end of the day. 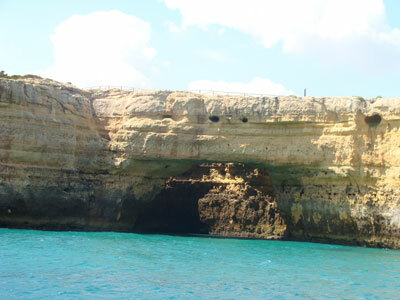 Time for a swim. Duration: 2.5 hours.